As a Syrian forester trying to communicate with the international forestry community i have been asked many questions about the forests in Syria, and the most frequent questions were: Is it true that Syria is an arid country consists of a massive desert? Does Syria have any forests? Where do they locate? What are the main species? Syria is a country in Western Asia with a total area of (18518000 hectares) with 2% of forest area (Nahhal1988), Despite its location in Arid and semi-arid zone it is distinguished by a major bio- climatic and physiographic gradients which results in quite phytogeographical diversity, Thus Syria possess a remarkable plant diversity rounding (3150) species according to Mouterde flora. Most of the forest Area in Syria is located in the coastal region where the Mediterranean climate is dominant; therefore, we can find a Mediterranean vegetation all over this region. Natural coniferous forests in Syria are either consist of Turkey pine (Pinus brutia) or Aleppo pine (Pinus halepensis) as dominant species that usually mix with Palestine oak (Quercus calliprinos) as understory species (in the gaps) and other shrubs like: (Pistacia palaestina, Phillyrea media, Laurus nobilis, etc…), this type can be found till 900m above sea level. Abies cilicica occurs in the western slope and also mixes with Turkey oak (Quercus cerris L.subsp. pseudocerris ). Mixed forest of Cilicican fir (Abies cilicica) with Turkey oak (Quercus cerris L.subsp. pseudocerris) on the western slope of Syrian coastal mountains (Cedar and fir reservation). Photo credit : Angham Daiyoub. Broad-leaved forests in Syria are scattered along the coastal range in small patches as a result to deforestation consisting mainly of Palestine oak (Quercus calliprinos) that associates with wide range of trees and shrubs species like (Quercus infectoria ,Arbutus andrachne, Quercus cerris L.subsp. pseudocerris, Styrax officinalis, Acer syriacus, Pirus syriaca, Crataegus oxycantha, Cercis siliquastrum……..) and that depends on bioclimatic zone. Palestine oak maquis (Quercus calliprinos) mixed with trees and shrubs, observe the deforestation. photo credit : Ismael souliman. Forestry Engineer studied at the university of Tishreen Lattakia/ Syria. Participated in plenty of reafforestation campaigns to cover the damage on our pine forests (Pinus brutia) that were caused by explosives during the years of war. 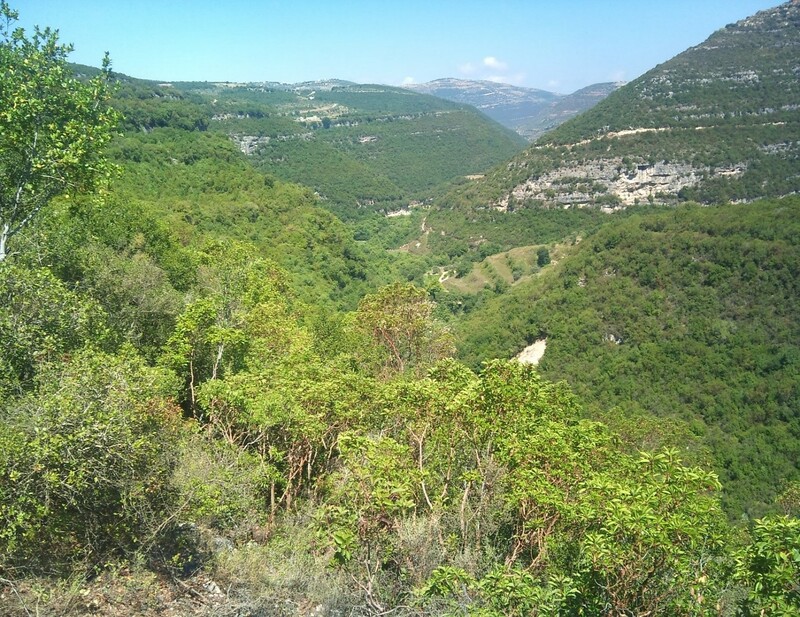 Worked on Contribution to the inventory of Geophytes in the -Syrian coast, and now is working on a contribution to register the ancient & remarkable trees of the Syrian coastal mountains.